Going to adopt the "1st choice, 2nd choice, 3rd choice" method. Meaning your first choice is worth 3 points, 2nd is worth 2, and 3rd is worth 1. Please do not select the same player multiple times in one selection. If you do, only the highest value will be taken for that and the lower duplicate votes will be discounted. More options will be added in later picks. If after 20+ votes the selection is clearly one person as the favorite we will move on to the next pick. Otherwise It will be ~24 hours before the poll closes. If there are 2/3 options that are close, there will be a runoff. This is who you think they WILL pick, not who they SHOULD pick. Based off of how the Steelers draft due to where Tomlin and/or Colbert go pro day wise and the players available, I’d say they go with either........ Justin Layne CB from Michigan St or DL Dexter Lawrence from Clemson. Maybe even Winovich from Michigan. 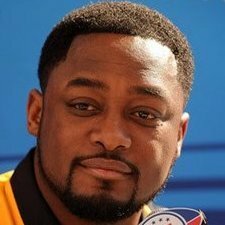 Murphy doesn’t fit the Steelers man heavy scheme. I went Baker, Wilson, M. Brown. Murphy is not a good CB for the Steelers. Wilson is a need pick and the right age. Brown will be a decent pick. Otherwise go with Dexter Lawrence. They like Winovich but he is way too old for Tomlin's 1st round pick. I went Murphy, Backer, and Other with N'Keal Harry. I went Baker, Wilson, M. Brown. Murphy is not a good CB for the Steelers. Wilson is a need pick and the right age. Brown will be a decent pick. Otherwise go with Dexter Lawrence. They like Michigan but he is way too old for Tomlin's 1st round pick. Why isn't Murphy a good CB for the Steelers? Seems to thrive more in zone, which he would get a lot in Pittsburgh. Steelers have been trying to go to more of a press man or at least have players that can do press man. Murphy is almost always off man coverage. I am not sure if he can do press in the NFL. If the Steelers are truly trying to change their coverage system then Murphy is not the best pick. That is why I chose Baker. The tape I have watched shows Baker can play press, off-man, and zone. He may not have the ceiling that Murphy has but has a highest floor for any of the CBs in this class. Baker would be the dream. Murphy would be a good pick with some scheme changes, and Wilson is a need and a cover backer that we need. If Hockenson was there he might have been my first choice but he's not. So I went with Murphy, Baker, and Metcalf.